So my best friend is getting married in 8 days and I am her Matron of Honor! 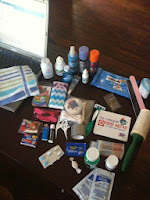 Today I am working on the emergency bridal kit. Included is a list of items I feel necessary for the day of a wedding. The bride and bridesmaids will be very grateful if you bring these staple items. It's pretty long but I am a "better safe than sorry" kind of person, always overly prepared. 9. water bottle - cant hurt to have more. 40. razor - obvious reasons - i forgot on my own wedding day! I think this is a complete list but everyone has unique additions. I have asthma so my inhalers are always on this list. Try to adapt it to your bride, first, then to everyone else in general. She is the most important person on that day! So give yourself about ten minutes and grab all this stuff so that in case of a sudden mishap, you are covered. You can buy them online and add your own needs, but I find it easier to just put it together myself. You can fill it with specific items of your own choice. Give it to a bridesmaid or whoever is closer to helping in another wedding. But if you are like me, you are in weddings as much as two or three times a year, you might just keep it! Wal-Mart has travel and trial size everything! You can buy things for one dollar since you probably won't use them after/often. 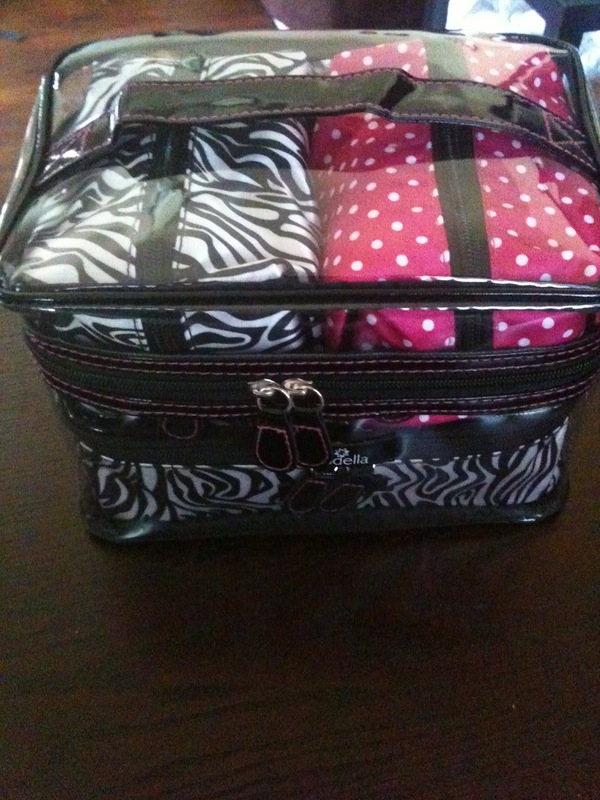 Pack small items and find a cute bag to put it all in. Pack according to category so that it's easy to find things. I got a bag that matches the travel, "dot" bag, I already own. Convenient to say the least. 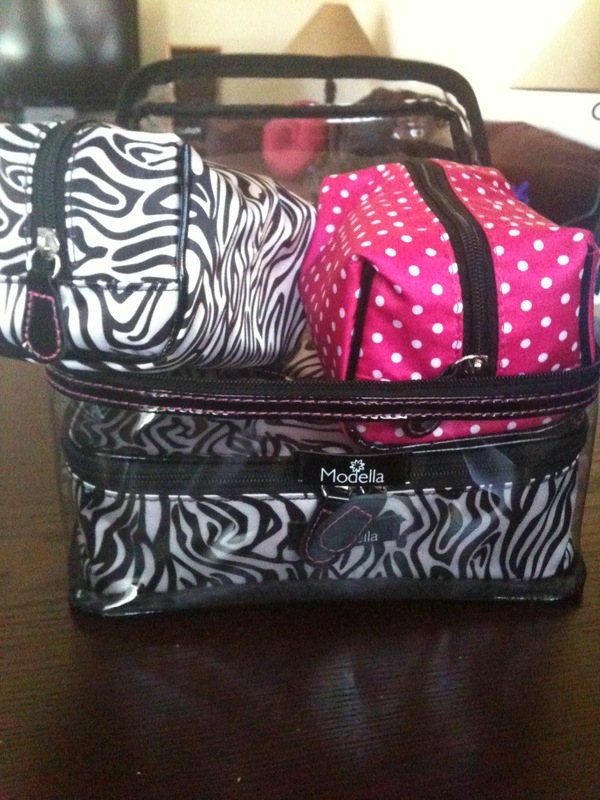 Plus who doesn't love pink and zebra? 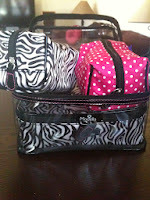 Smaller zebra bag - all the medicine etc. Small pink bag - sewing kit, and beauty essentials. 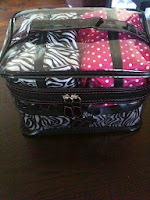 I then loaded the three bags into this clear tote that has a convenient handle at the top! so cute. this list is awesome! i had barely any of it on my wedding day!! jesus knew i wouldn't be prepared, so he decided not to let anything happen, i guess. hehe.